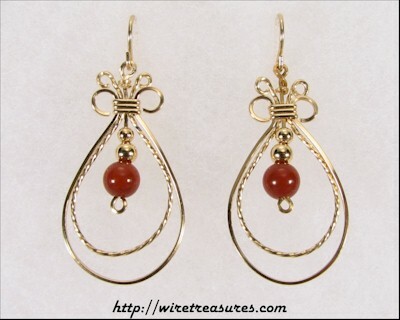 These pretty earrings have two loops of 14K Gold Filled wire, one twisted; each earring has two gold beads and a larger Carnelian bead. A simple design with an elegant look! These earrings are about 1-1/2 inches long, not including the French wires.